Check out All Videos ! A native of Germany, now residing in Los Angeles, California. Her repertoire includes Blues | Rock | Jazz | Shredding Metal to just about anything playable on the guitar. Her guitar students come from all over to take lessons from The Shredmistress. Among those, lots of female guitarists who want to learn how to play Blues, Rock and do all the Shredding Metal Guitar Tricks the guys are known for. This Site is for YOU ! Rynata brings with her a classical background, disciplined musical training and a love for music that transcends genres. Well versed in jazz | rock | blues |country and of course the metal ‘shredding’ side of the house, Rynata has truly become An Ultimate Female Guitarist. She takes the listener on a journey and that is exactly what she wants. The Shredmistress ‘noodles’ but amidst her shredding ability sits a musicality that is hard to find in today’s guitarists. 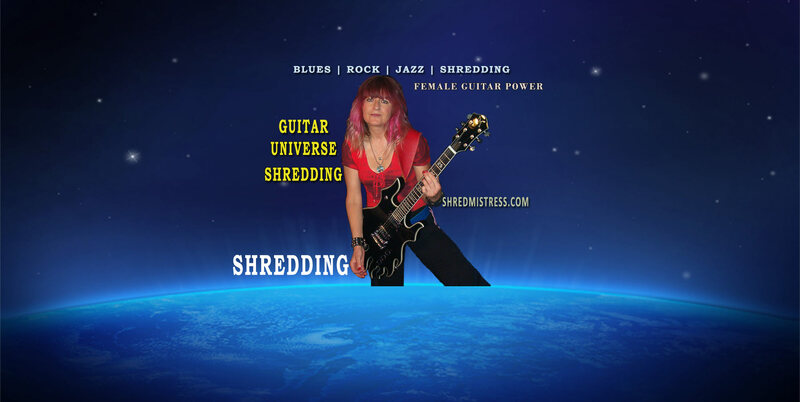 Female Guitarist The Shredmistress has been called The Femme Fatale of the Fretboard. Unsurpassed technical ability, coupled with great musicality make her "One of the Best Female Guitarists To-Date." Rynata shredded licks that some guys only wish they could pull off themselves … I have heard a lot of women guitarists in the past, but I was blown away, along with the crowd." "What made it all happen for me was the spectacular solo shredding of Rynata. 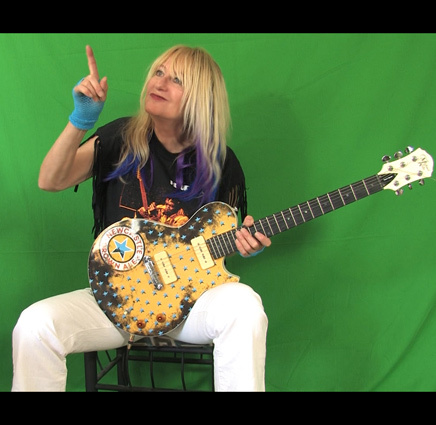 There are virtually no female lead guitar players who can take off with the kind of soaring melodic feel and riveting articulation that this lady has mastered (In fact, very few male guitar players have this either)." The focus is on The Blues in 2018. Think Joe Bonamassa meets The Shredmistress. Networking with The Best Women Guitarists World-Wide.